Let’s assume we have an array of items set in our controller’s scope. We can loop through these items using ngRepeat in the controller’s template. Ok, now let’s get slightly more advanced. Let’s say we have an array of objects with a color field. Again, we can use ngRepeat to loop through them. This time we’ll incorporate a built-in filter to sort by that color field. Easy enough. The orderBy filter uses the color property to sort the objects before iterating through them. This may look the same as the example above, but it’s not. $score.items is no longer an array of objects. It is an object itself (acting like an associative array or hash) with the properties color-1, color-2, and color-3. We need to iterate through those properties. ngRepeat does have the ability to do this. This filter converts the object into a standard array and sorts it by the field you specify. You can use the orderObjectBy filter exactly like orderBy, including a boolean value after the field name to specify whether the order should be reversed. In other words, false is ascending, true is descending. Note: Because this filter converts the items object to an array, you will no longer have access to the key of the “associative array”, as you do with the (key, item) in items snippet. I did not need the key in my situation, so this was fine. 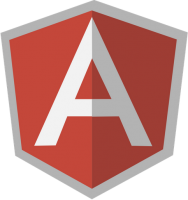 Update: Thanks to the work of fmquaglia, this code has been turn into an AngularJS module and is available as ngOrderObjectBy for easy integration into your project. Update: At the request of one of the commenters below, I’m adding license information. The code above is available under the MIT license. This entry was posted in AngularJS. Bookmark the permalink.